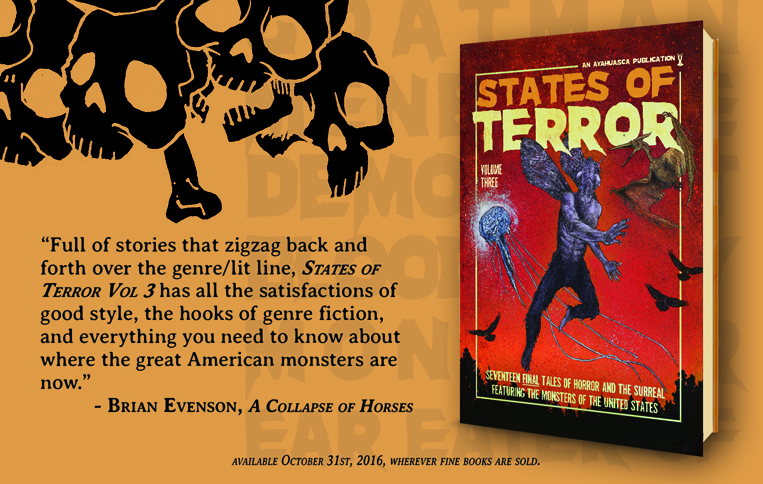 In the countdown of weeks until the release of States of Terror Vol.3, we wanted to show off some of the great blurbs we've been getting to get you pumped for the conclusion of our horror anthology collection. This week's blurb comes from the masterful Brian Evenson, author of the recent collection A Collapse of Horses and the novella The Warren, plus a laundry list of classic existential horror including Immobility, Last Days, The Wavering Knife, and many others. Pre-order Volume 3 today!